Fiction that isn’t an author’s personal adventure into the frightening or the unknown isn’t worth writing for anything but money. Never use the word “then” as a ­conjunction – we have “and” for this purpose. Substituting “then” is the lazy or tone-deaf writer’s non-solution to the problem of too many “ands” on the page. Write in the third person unless a ­really distinctive first-person voice ­offers itself irresistibly. The most purely autobiographical ­fiction requires pure invention. Nobody ever wrote a more auto­biographical story than “The Meta­morphosis”. Jonathan Franzen is the author of the bestselling novels The Corrections (2001) and Freedom (2010). Illustration by Danilo Agutoli, ALL RIGHTS RESERVED. Find more of Agutoli’s work here. April 22, 2013 marks the 90th birthday of novelist Paula Fox, author of DESPERATE CHARACTERS, originally published by W.W. Norton in 1970. The novel fell out of print and was championed by Jonathan Franzen (author of The Corrections and Freedom) — who stumbled upon it in a library — but has been available since 1999 in a new edition with an introduction by Franzen. 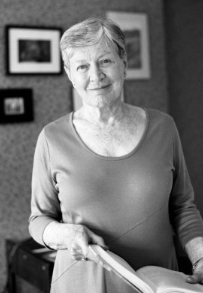 Paula Fox is recipient of the 2013 Hadada Prize from THE PARIS REVIEW. The prize is presented each year to “a distinguished member of the writing community who has made a strong and unique contribution to literature.” Previous recipients include Joan Didion, Norman Mailer, Peter Matthiessen, George Plimpton, Philip Roth, and William Styron. Like Franzen, I stumbled upon DESPERATE CHARACTERS over a decade ago (in my case, the encounter occurred at a Salvation Army thrift shop in Chicago) and was immediately captivated by the novel. 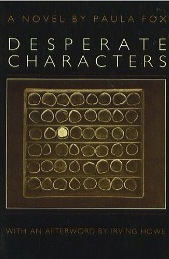 If you love literary novels — and, at 176 pages, this is a relatively short one — don’t miss DESPERATE CHARACTERS. At Amazon.com, used copies of the novel are available for as low as 24 cents plus shipping — and you can probably find it at your local library. Enjoy. Happy 90th birthday, Paula Fox! You are an inspiration to all novelists! 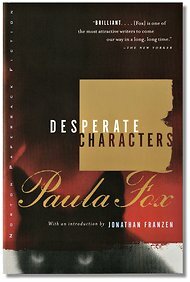 In 1991, novelist Jonathan Franzen (author of The Corrections and Freedom) was browsing the shelves at the Yaddo library when he spotted a slim volume, Desperate Characters by Paula Fox. Franzen sat down and began to read — and didn’t leave his chair until he’d finished the novel. When Franzen attempted to order a copy at a bookstore, he learned the book was out of print. 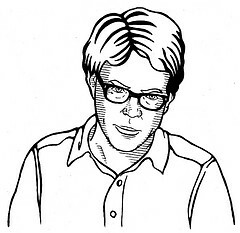 After trying, without success, to convince people in the publishing business to reissue Desperate Characters, he eventually mentioned his reverence for the novel in a March/April 1996 Harper’s article entitled “Perchance to Dream: In the Age of Images, a Reason to Write Novels” (subscription required to read the article). Tom Bissell, an editor at W.W. Norton, took notice — and the company published the book in 1999, with an introduction by Franzen. 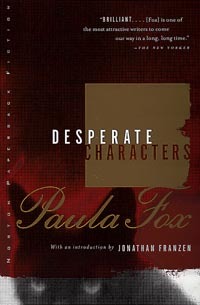 Find Desperate Characters by Paula Fox at Amazon.com. Fox, who will turn 90 next year, has led a fascinating life. More about that in another post.